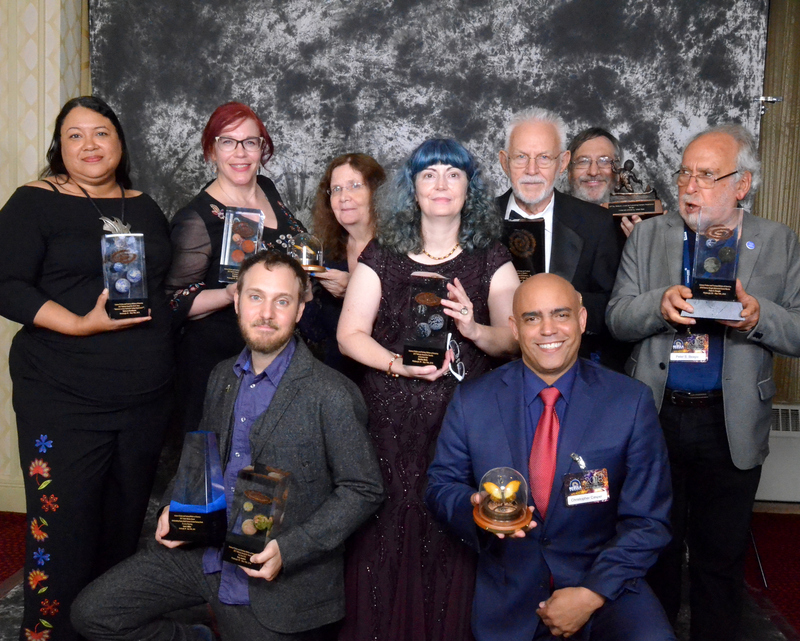 For the second year in a row, the SFWA Nebula Conference was held in Pittsburgh, building on past experiences to present a superlative event. Many recent innovations, such as the Mentor Program and Book Depot, were even more successful than previously. Programming was also expanded, with specific business topics for both beginner and more advanced indie and traditional writers. Sponsors like Kickstarter and Draft2Digital were available to present options and answer questions. The highlight of the conference from an education perspective was a much-anticipated detailed analysis of science fiction and fantasy book sales presented by the Data Guy. It did not disappoint. The Book Depot had a wider range of titles, as well as an extremely popular SFWA Decoder Ring, which became the fashion accessory of the weekend. “Office Hours,” — time set aside for one-on-one conversations with authorities on publishing-related topics — were augmented by “Ignite Talks” – short, snapshot talks on a variety of subjects. 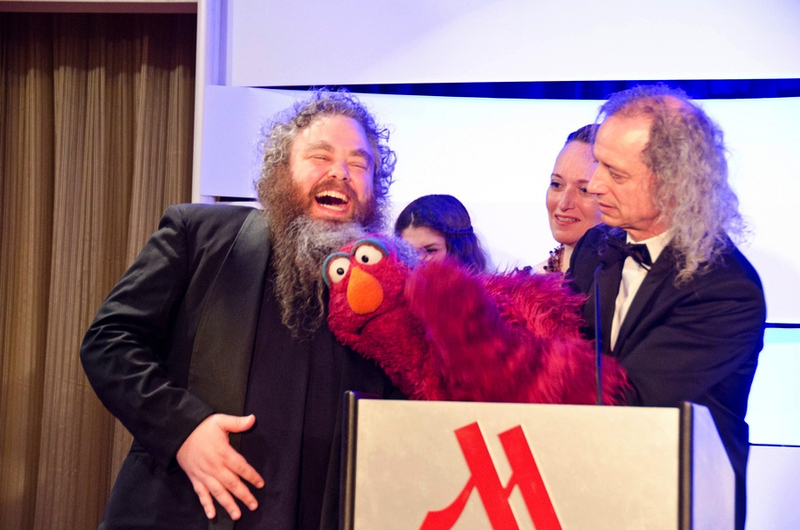 Toastmaster Martin P. Robinson, a puppeteer who has worked for the Jim Henson Company for 37 years, livened up the ceremony with appearances from a number of his muppet cohorts, including Telly Monster and Mr. Snuffleupagus. The banquet tables were again decorated with charming robots assembled from vintage materials by artist Don L. Jones. After the official ceremony, the Alternate Universe Acceptance Speeches were another emotional highlight. The bounty of free books available this year was nearly overwhelming.